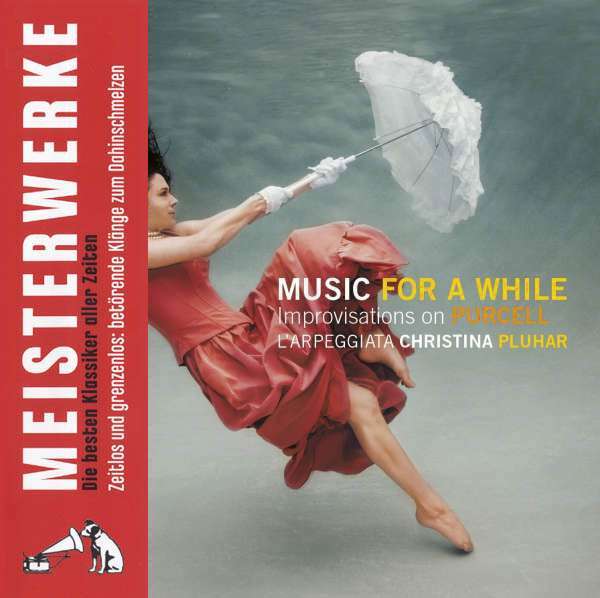 Der Artikel Henry Purcell (1659-1695): Music for a While - Improvisations on Purcell wurde in den Warenkorb gelegt. Klassik-Konzert oder Jam Session? Wenn Christina Pluhar und ihr Ensemble spielen, erlebt man Improvisationen mit Ausflügen in Jazz und Folk im unverwechselbaren »Pluhar-Sound«. Music for A While ist eine Hommage an den Barockmeister Purcell, der unter anderem Michael Nyman oder Stanley Kubrick inspirierte. Hörprobe Track 1: The Mock Marriage, Z. 605/2: "Twas within a furlong"
Hörprobe Track 2: Oedipus, King of Thebes, Z. 583/2: "Music for a while"
Hörprobe Track 3: Come, ye sons of art away (Birthday Ode for Queen Mary), Z. 323/5: "Strike the viol"
Hörprobe Track 5: Hail! bright Cecilia (Ode for St. Cecilia's Day), Z. 328/10: "In vain the am'rous flute"
Hörprobe Track 6: Who can from joy refrain? (Birthday Ode for the Duke of Gloucester), Z. 342/3: "A prince of glorious race descended"
Hörprobe Track 8: Dido and Aeneas, Z. 626/38: "When I am laid in earth"
Hörprobe Track 9: Hail! bright Cecilia (Ode for St Cecilia's Day), Z. 328/8: "Wondrous machine"
Hörprobe Track 10: Welcome to all the pleasures (Ode for St Cecilia's Day), Z. 339/3: "Here the deities approve"
Hörprobe Track 11: Dido and Aeneas, Z. 626/3: "Ah! Belinda"
Hörprobe Track 12: Timon of Athens, Z. 632/2: "Hark! how the songsters of the grove"
Hörprobe Track 13: Secresy's Song, from The Fairy Queen, Z. 629/13: "One charming night"
Hörprobe Track 14: The Mock Marriage, Z. 605/3: "Man is for the woman made"
Hörprobe Track 16: Timon of Athens, Z. 632/13: "Curtain Tune on a Ground"